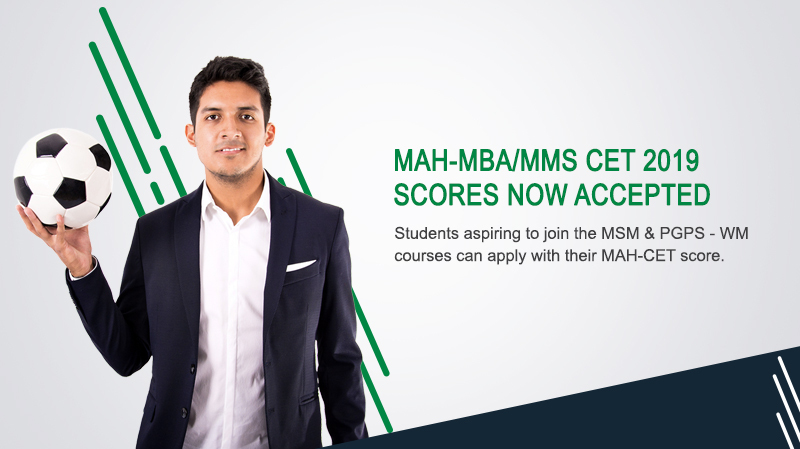 MSM & PG aspirants can now apply for their dream career in Sports Management through their MAH-MBA/MMS CET 2019 scores. Students aspiring to join the Masters of Sports Management (MSM) & Post Graduate Program in Sports Management (PGPS & WM) course at IISM, can do so with their MAH-MBA/MMS CET 2019 score. On obtaining 55 percentile (Open category) and 45 percentile (Reserved Category), in the MAH-MBA/MMS CET 2019 test, students get a waiver from appearing for the SMAT test. Once the student has registered with their score, they are eligible for the Round 2 (SoP Submission) & Round 3 (Panel Interview) of the admission process.